Mother’s Day Breakfast Prepared by the LCR Men -Sunday, May 13th! 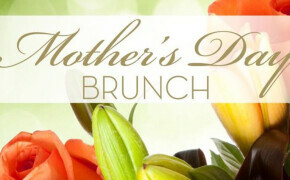 Please join us for a special Mother’s Day breakfast on May 14th between worship services. The men of LCR will be hosting a breakfast for all the women of the congregation. We need men to host and volunteer to bring breakfast items - casseroles, bagels, muffins & other yummy treats. Let’s spoil the women of our congregation! Please contact to let us know what you will bring!